Call it short-sighted (or subconsciously brilliant) planning, but I'm making a U-turn and going back to Irwin, Ligonier and Latrobe this weekend for our annual family reunion at Idlewild Park! This also means I'll get to watch the local TV broadcast of the first preseason game on Saturday night and return to training camp on Monday, this time with the Boyd family. Touchdown, two-point conversion. Given the four-and-a-half hour car trip, I had to brainstorm for an easy and transportable snack to make for the reunion. Something sweet and simple. 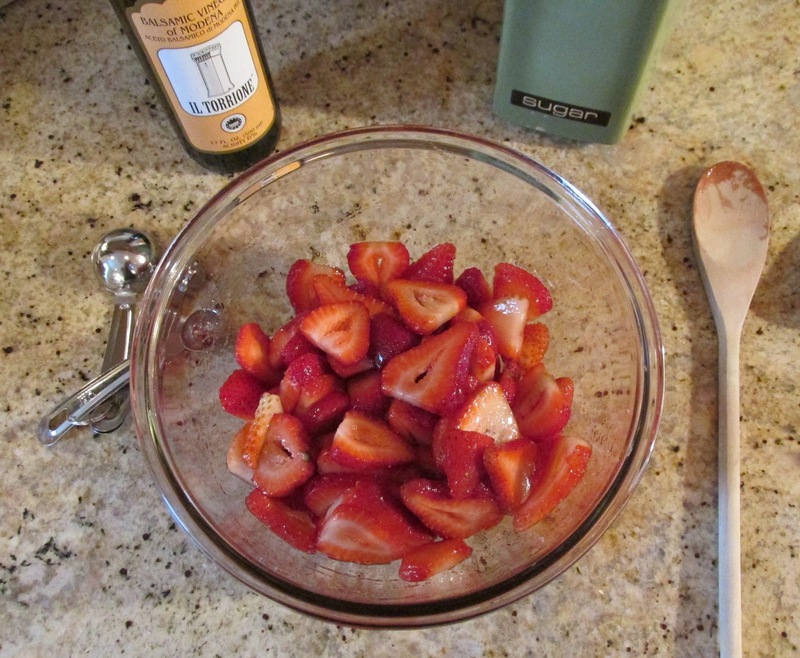 I decided I'll make a batch of two-bite mini cheesecakes and try out this inventive balsamic-roasted strawberry topping from Mother Thyme. The game plan is to prepare the roasted strawberry topping at home on Saturday morning, before I head west, then assemble the cheesecakes and refrigerate them at Mom-mom's until the reunion on Sunday. The roasted strawberries will travel in a mason jar, in a cooler, in the backseat - just to be safe. The cheesecakes pictured here are a practice drill to ensure that this weekend's batch will be a winner - and because I wouldn't think of serving my mom, dad, brothers, Mom-mom, aunts, uncles and cousins 4-day-old snacks. I think the Creative Director and I can take care of finishing off this first round. 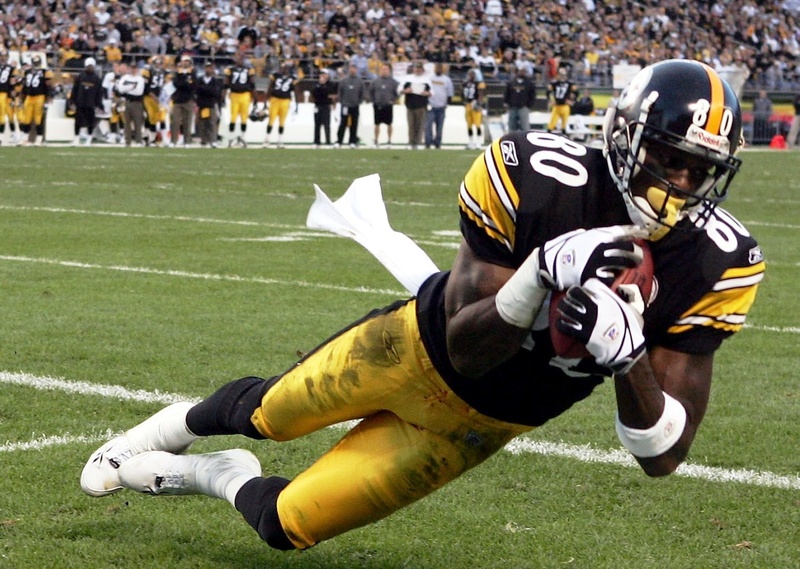 Let's talk Plaxico - the wide receiver who literally shot himself in the foot (er, thigh). Oh yes, we allll know Plaxico. I was definitely a fan his first time around with the Steelers from 2000 to 2004. Burress left for the New York Giants in 2005, helping them to win Super Bowl XLII at the end of the 2007 season, most notably by making the winning touchdown catch. Things went downhill for him after that. 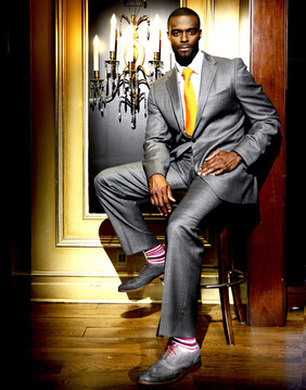 In November 2008, an already injured Burress made a fumble outside of a New York City nightclub, which not only resulted in an accidental, self-inflicted gunshot wound, but his subsequent release from the Giants, and a two-year prison sentence. I'm not about to get into a debate or dish up opinions regarding his actions and the penalties, but he made a mistake, and then paid mightily for it. "Burress is a quality addition, particularly if it is as third or fourth receiver... Plax is still a 6'5" match up problem, a possible deep threat and a real problem in the red zone for defenses. Good luck trying to cover him with your third or fourth defensive back. He is familiar with the organization, the culture, and perhaps most importantly, the quarterbacks... A quality addition and potentially a huge difference maker to a unit that may already be the best in the league." Finally, before we get to the sweet Straw-Burress snacks, I have to share his sweet new line of luxury men's socks with you: The Plaxico Burress Collection. No, I'm not pulling your leg. In May, Plax launched his own line of wildly patterned men's dress socks. They kind of look like Cosby sweaters for your feet. Now I know what to get the Creative Director for his birthday. I'll take a pair of The Twizzler and The Spot Runner, please! I decided this would be an appropriate time to wear my fancy socks. 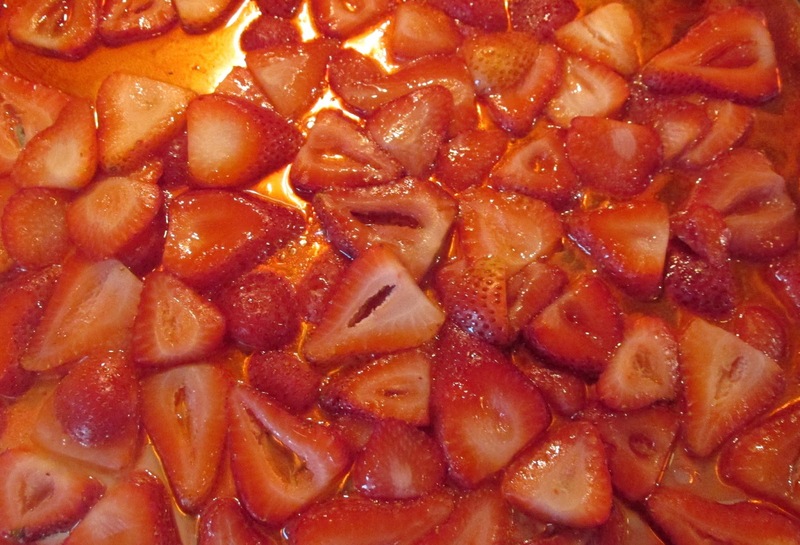 Toss strawberries with sugar and balsamic in a bowl, then arrange slices on a foil-lined baking sheet. Pour any remaining juices from the bowl onto the slices. Roast in the oven for 10-12 minutes. 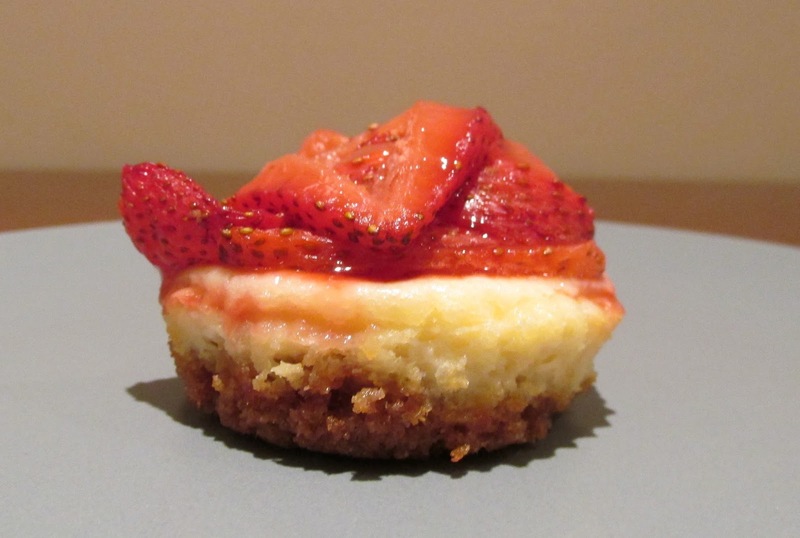 Remove from the oven and set aside until you are ready to assemble cheesecakes. Combine graham cracker crumbs, sugar and melted butter in a bowl. Mix thoroughly with a fork. Place cupcake liners in muffin pan, then press 1/2 tbsp graham cracker mixture into the bottom of each cup. Beat cream cheese and sugar together in mixing bowl with hand mixer on medium speed. Add the egg, mixing thoroughly and scraping down sides of bowl. Mix in lemon juice, zest and vanilla. Spoon filling into cups until 1/2 full. Bake for 25-30 min, until firm. Remove from oven and allow to cool. 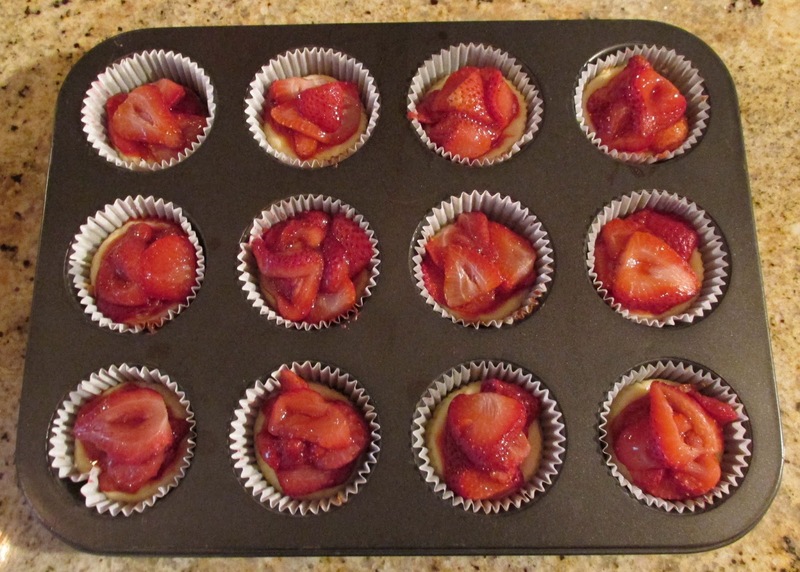 Top each with a heaping spoonfull of roasted strawberries then refrigerate for at least an hour and serve! Makes a dozen cheesecake bites.